Gustavus Adolphus College softball player Emily Klein (Sr., Red Wing, Minn.) has been named Co-MIAC Player of the Week for her efforts in helping the Gusties post a record of 8-2 on its Spring Break trip to Tucson, Arizona last week. Klein, who hit .447 during the week, recorded at least one hit in all 10 games. 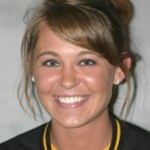 She leads the team in hitting (.479), slugging percentage (.750), and on-base percentage (.519) through 14 games. The Gustavus baseball team's doubleheader against Concordia scheduled for Sunday, April 5 at 1:00 pm in St. Peter has been postponed. No make up date has been set at this time. The doubleheader was originally scheduled for Saturday, March 28 at the Metrodome. The Gustavus women's tennis team wrapped up its Spring Break trip to Southern California with a 7-2 loss to Pomona-Pitzer in Pomona, California. The eighth ranked Sagehens won two of the three doubles matches and five of the six singles matches to defeat the 18th ranked Gusties. Gustavus senior Mike DesLauriers (Minnetonka, Minn.), a four-year starter at shortstop for the Golden Gustie baseball team, was recently selected as the focus in the MIAC Profiles of Excellence series produced by College Sporting News. DesLauriers, an All-MIAC First Team selection in 2007 and Third Team All-Region honoree last year in baseball, was also a member of the Gustavus men's basketball team. The Gustavus baseball will kick off its Minnesota Intercollegiate Athletic Conference (MIAC) baseball schedule on Saturday against Concordia College at 1:30 p.m. at the Metrodome as part of the MIAC Baseball Showcase. 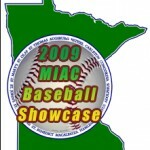 The MIAC Baseball Showcase will be Friday and Saturday, March 27 and 28, as five conference doubleheaders will be played at the Metrodome in Minneapolis. The Gustavus men's tennis concluded its Spring Break trip to California with a heartbreaking 5-4 loss to UC-Santa Cruz on Thursday afternoon in Santa Cruz, Calif. The Gusties held a 2-1 lead after doubles play, but lost four of the six singles matches. John Kauss and Mike Burdakin tallied both singles match victories as each player posted come-from-behind wins at #1 and #3 singles, respectively. Gustavus dropped to 17-7 overall. The Gustavus baseball team's doubleheader against Concordia scheduled for Saturday, March 28 at 1:30 pm in the Metrodome has been postponed so the Concordia players can stay in Moorhead to help fight the flooding. No make up date has been set at this time. The Gusties' next doubleheader is scheduled to be played at Saint Mary's on Wednesday at 2:30 pm. The Gustavus women's tennis team evened its Spring Break trip record to 1-1 by defeating Claremont-Mudd-Scripps Colleges 8-1 in Claremont on Wednesday evening. The Gusties jumped out to a 3-0 lead by winning all of the doubles matches and never looked back on its way to a convincing victory. Marianne Barau played very well for the Gusties as she posted a win at #6 singles in straight sets and then teamed with Megan Gaard to win at #2 doubles. The Gustavus softball team wrapped up its Spring Break trip to Tucson, Arizona with a 4-2 win over Taylor University (Ind.) on Wednesday morning. Emily Klein, Rachael Click, and Emily Wendorff each picked up two hits to lead the Gusties. Betsy Collins was the starting pitcher. She threw four innings allowing seven hits and two runs and earned the win. 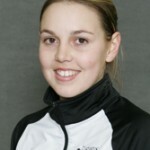 Erin Truebenbach pitched the final three innings scattering three hits and striking out six. The Gustavus men's tennis team suffered its second straight loss after falling to the University of Redlands 7-2 in Claremont, Calif. on Wednesday. The Gusties lost two extremely tight doubles matches as they trailed 3-0 heading into singles play before losing four of six singles matches. Gustavus, which is 17-6 overall, will wrap up their Spring Break trip against UC-Santa Cruz on Thursday afternoon in Santa Cruz, Calif.